We've included listings for companies such as Viridian Reclaimed Wood Products and Krantz Recovered Woods inside our Pine Flooring guide. 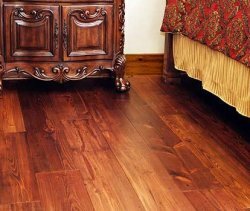 This Canadian firms makes flooring made from reclaimed pine, beech, hemlock, elm, oak, wormy chestnut, heart pine, hickory, cherry & walnut. Owned and operated by the Charlet family, this business specializes in antique heart pine and cypress flooring, beams, doors and other salvage -- plus the design and construction of custom furniture from salvage wood products. 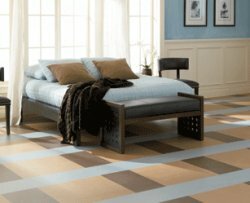 Popular linoleum flooring now comes in snap together planks and tiles. Antique boards meet modern engineering to produce this plank floor.